Cartwheels, Walkovers and Round Offs are easier to learn with our New Skill Helper Mat and included Decals. Ideal for teaching basic motor and developmental skills. 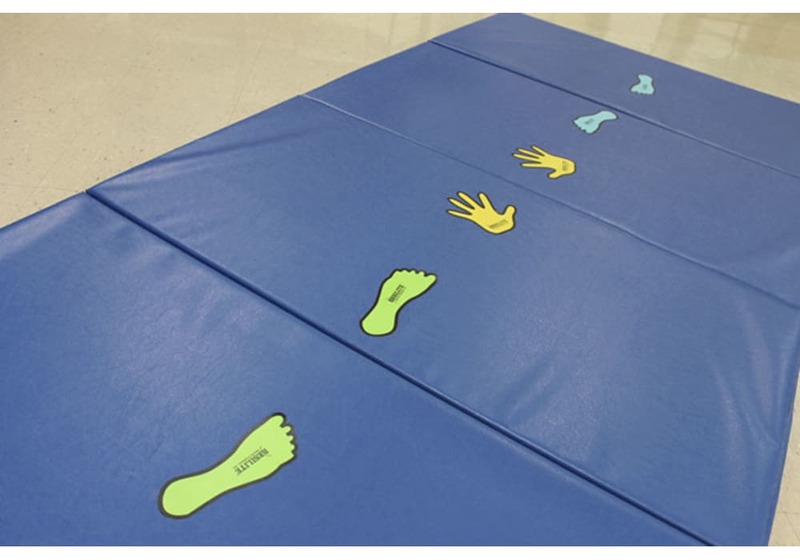 Colorful Skill Helper Decals can be positioned in a variety of configurations to accommodate both Right and Left oriented students. 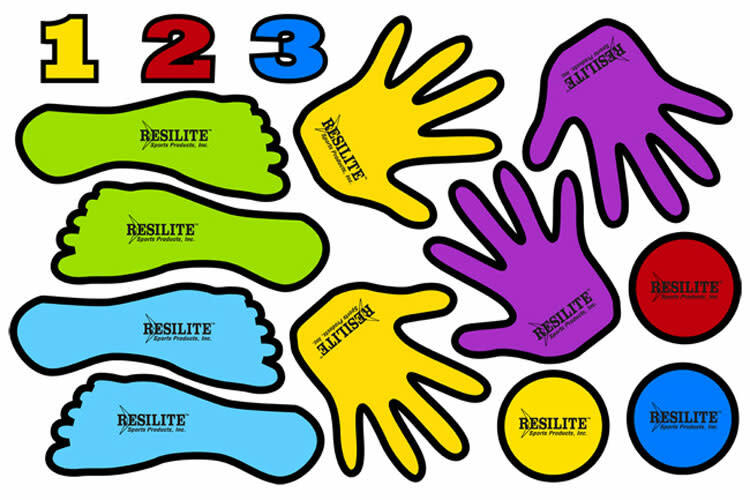 Size: 2' x 8' x 1-3/8"
Skill Helper Decals are durable and feature a low-tac adhesive and can be easily repositioned to practice various skills. 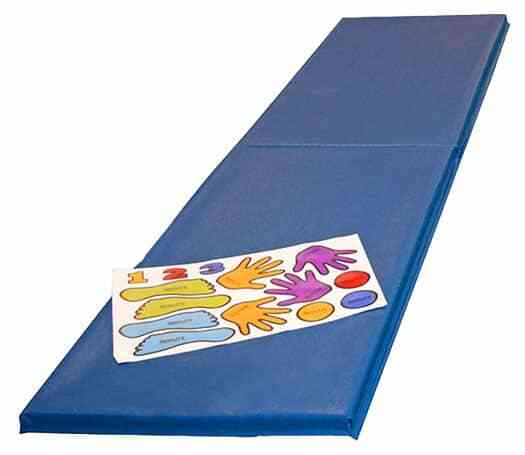 Made in the U.S.A.
Cartwheels, Walkovers and Round Offs are easier to learn with our New Skill Helper Mat and included Decals. 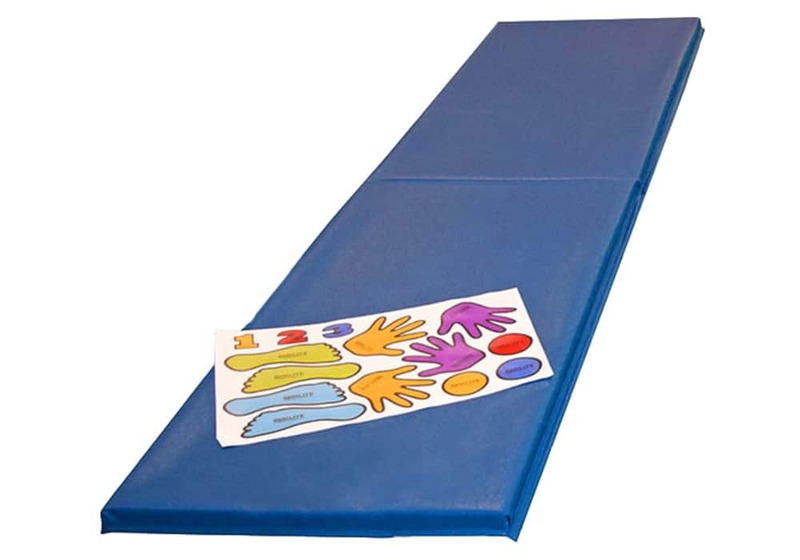 The Skill helper mat is ideal for teaching basic motor and developmental skills. 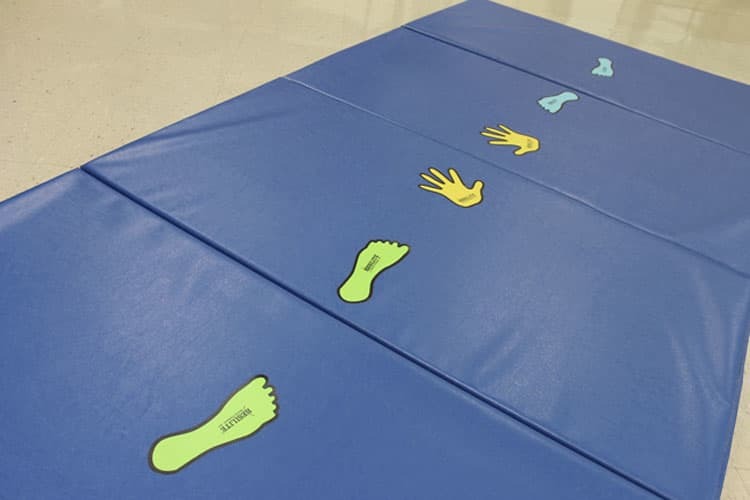 Colorful Skill Helper Decals can be positioned in a variety of configurations to accommodate both Right and Left oriented students. 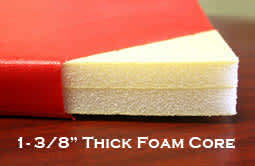 The helper mat is made with a firm 1-3/8" thick crosslink polyethylene foam core and is a valuable training aid for any home, school, or gym. One set of skill helper decals included. can be easily repositioned to practice various skills.